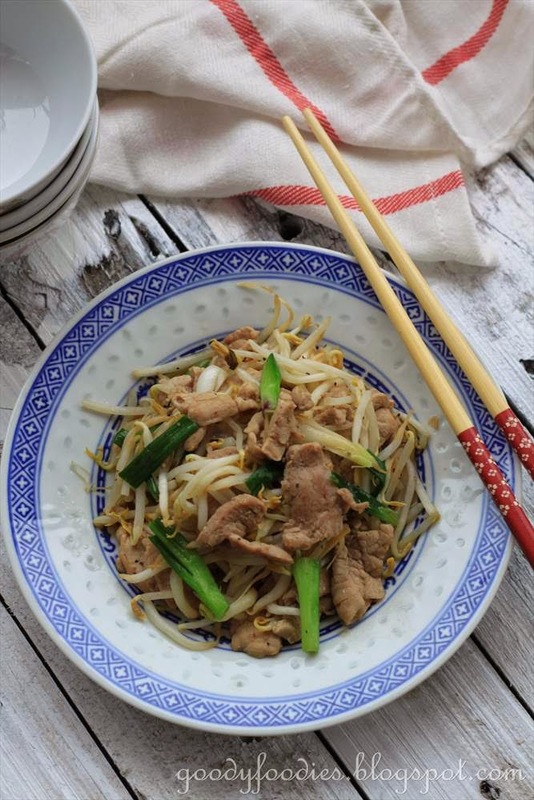 Vietnamese cuisine is considered one of the healthiest cuisines worldwide and this stir fried pork and beansprouts recipe that I chose to try is exactly that. 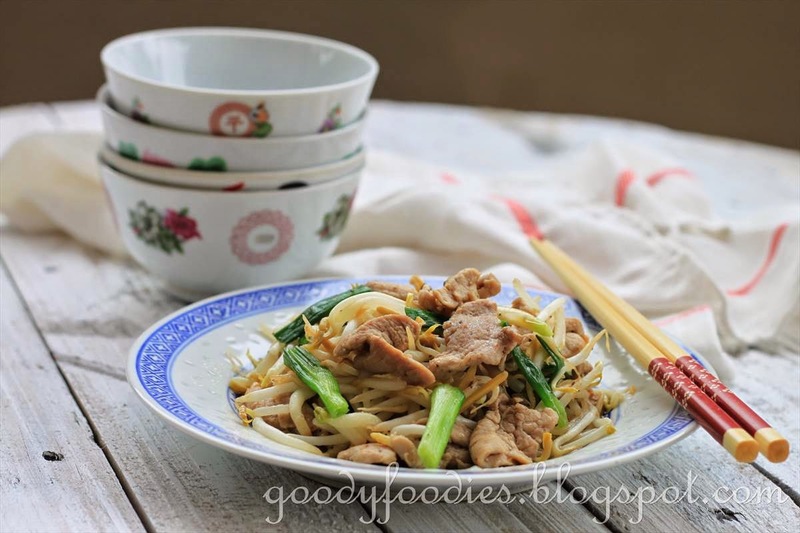 Xào means stir frying, and this is a simple and quick stir fry recipe. 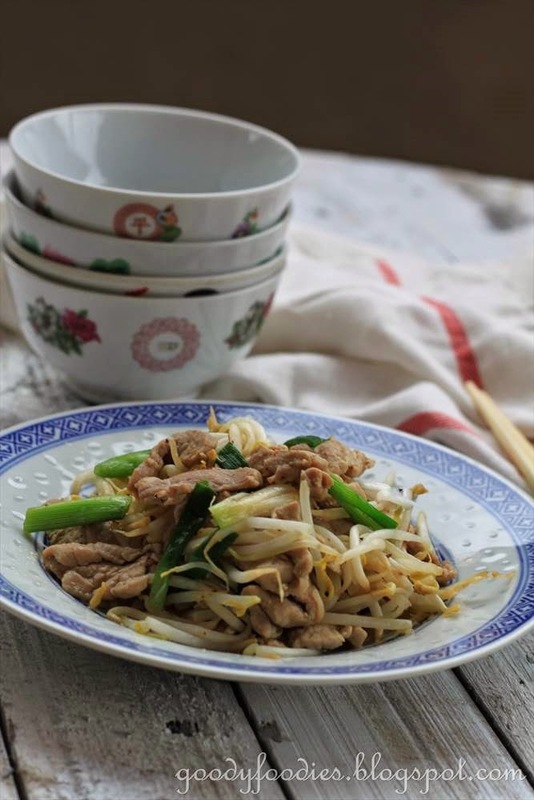 The lean pork is first marinated in fish sauce, sugar, cornflour and black pepper for 15 minutes, then stir fried in a hot wok for a mere 7 minutes. 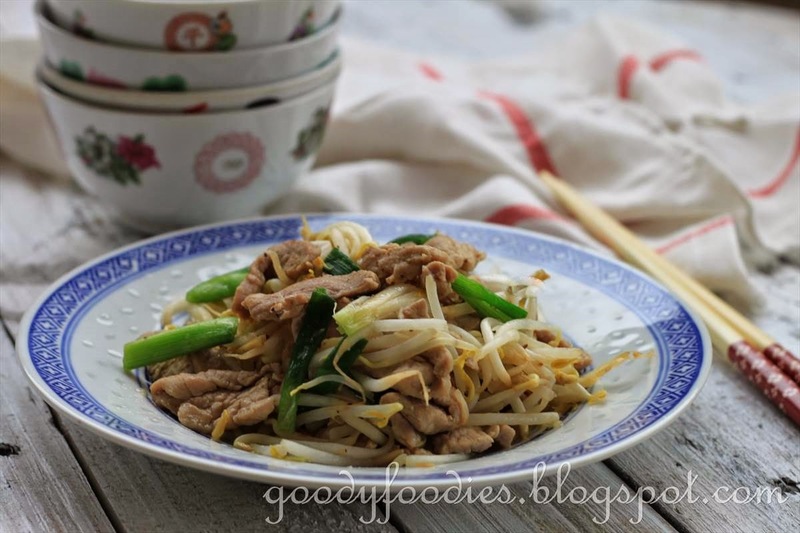 The meat is tender and flavorful, and the beansprouts lend a nice crunch to the dish. A fantastic and delicious one-pan dish for a busy weekday evening! 1. Place pork in a bowl, and add the fish sauce, sugar, cornflour and pepper. Using your hands, mix well. Marinate for 15 minutes. 2. In a wok, heat the oil over high heat, then add the sesame oil (if using). Add the ginger and cook for 1 minute, then add the pork and stir fry for about 2-3 minutes, until barely cooked. Then, add the spring onions and cook for further 30 seconds. Finally, add the beansprouts and stir fry until cooked, about 1 minute. Taste seasoning, and add more fish sauce/salt as necessary. Serve immediately with rice. Note: Do slice the pork against the grain, this ensures that the cooked meat is more tender. Oh? That's Vietnamese, eh? We usually add prawns...unless we are frying it with salted fish - an alternative way of cooking it. I guess a lot of Asian countries draw influences from each other's cuisine. This dish sounds like a comfort dish to me. Love bean sprouts. Hi Yen! Such a simple but flavourful dish. I guess there are many similarities between Thai, Vietnamese and our local cooking. Seems like a perfect dish to go with rice! Yen,this is a simple yet full of flavour dish! It reminds me of a similar chinese dish that also added salted fish(small pieces) in there! Lol ...I just something on Vietnamese food too ! Initially I thought it's noodles thinking those beansprouts as noodle. 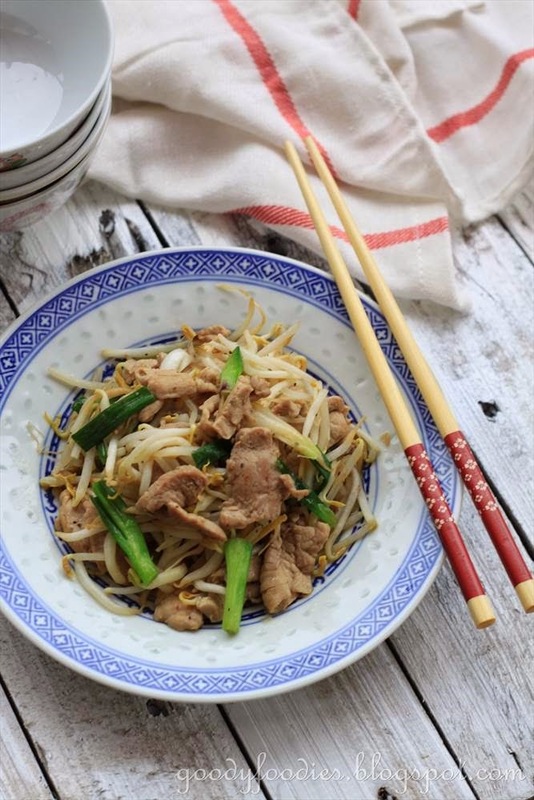 Now that I learned it's just stir fry with pork and beansprouts I want to make it into noodle dish. The marinade makes it Vietnamese and it's so easy - I'll definitely give this a try (with noodles)! Love your photo! Great looking bean sprout dish! I love eating bean sprouts! Thanks for sharing with CYB! This definitely goes well with a bowl of steaming hot white rice!